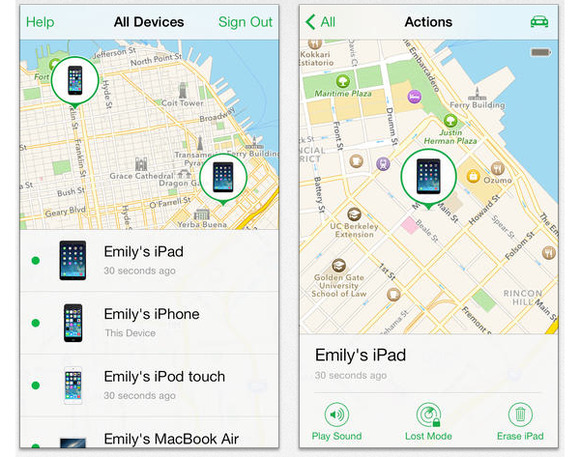 Apple’s “Find My iPhone” application led police in Silicon Valley to quickly arrest two suspected thieves after gadgets worth thousands of dollars were taken from a Palo Alto startup incubator. The gadgets were collectively worth around $14,000, according to Palo Alto Police Department. While police officers were still on scene investigating the break in, an AT&T Foundry employee used the “Find My iPhone” application to attempt to detect the location of the stolen iPad and quickly got a hit: a nearby parking lot. A check of the vehicle’s registration showed that it had been suspended. Shortly after, when it left the parking lot with two passengers inside, the police stopped the car for the registration violation. During that investigation, they found all of the stolen items except for a single cell phone, the police said. The car also contained a crow bar and other tools for prying open doors—the method used to gain entry to the AT&T Foundry. As an added bonus for detectives, the car turned out to be stolen. It had been taken from a car dealership in Vallejo, Calif., around 60 miles north of Palo Alto, sometime since November last year. Staff at the dealership had not noticed the car was missing until contacted by Palo Alto police.